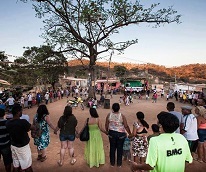 With the FIFA World Cup and the Olympics came the pretext for companies, in complicity with all three levels of government, to begin looking at the Aldea Marakaná with new eyes. 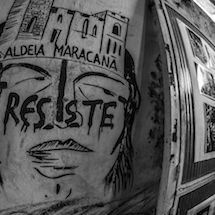 Despite a growing number of violent evictions, home demolitions, sustained process of gentrification and extensive real estate speculation the Aldea Marakaná and its neighbors continue to be a symbol of resistance. 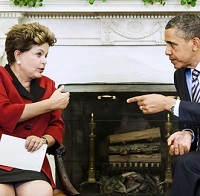 Brazil-US Accords: Back to the Backyard? “Today we inaugurate a new phase in bilateral relations concerning defense. With the two operative agreements, we lay out a positive agenda of advances in military and technological cooperation between the two countries,” Brazilian Defense Minister Jaques Wagner stated, after a meeting with US Secretary of Defense Ashton Carter at the Pentagon. 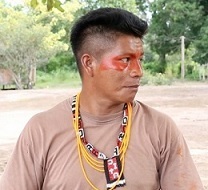 After it was revealed that the Pará state government had authorized forest management plans inside of the Maró Indigenous Territory, Borari and Arapium indigenous groups have been accused of being “fake Indians.” The case underscores the importance of the self-identification of indigenous communities. 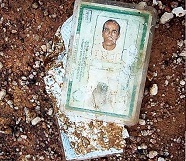 The families of the 43 Ayotzinapa students travelled as the Caravana 43 to multiple cities in the United States, Canada, several countries in Europe, Argentina, Uruguay, and Brazil to challenge the lies often reproduced about the case and to build solidarity with social movements in their own locale. The refusal of City Hall and a developer to negotiate with Izidro residents could cause a mega-eviction and the destruction of hundreds of houses in an area that is seven times larger than the Pinheirinho occupation, from which residents were violently evicted and massacred in 2012. 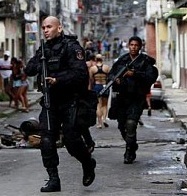 The city of Rio de Janeiro’s public safety policy figures prominently among the Brazilian government’s public agenda. It involves flooding specific areas with military police to the point of occupying state schools. 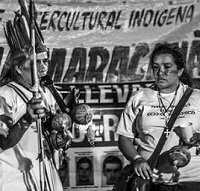 Ethnocide, the new accusation leveled against the Belo Monte hydroelectric dam, brings to light deeper underlying aspects of the conflicts and controversies unleashed by megaprojects in Brazil’s Amazon rainforest. 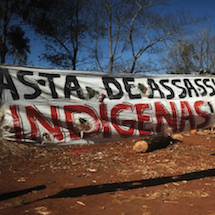 Federal prosecutor Thais Santi announced that legal action would be taken “in the next few weeks” against Norte Energía, the company building the dam, on the argument that its initiatives to squelch indigenous resistance amount to ethnocide. 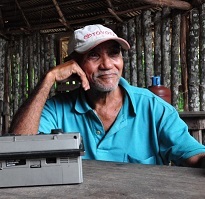 The life and death of the journalist Evany José Metzker, tortured and decapitated while investigating drug dealers and child trafficking and labor exploitation in the Jequitinhonha Valley, the poorest region of the Minas Gerais state.